Congratulations Janice R. - you are the random winner in our Minted Photo Card giveaway! 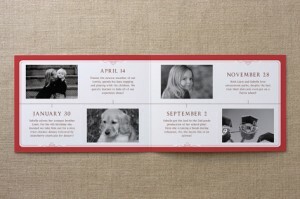 We profiled Minted.com in a previous post and cannot say enough good things about them! 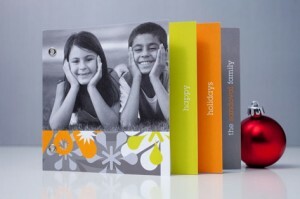 And now you can WIN 50 FLAT PANEL photo cards from Minted! Every person who enters will receive an email with a special coupon code where you can receive 15% off any purchase! See below to enter! Have to honestly say this may be our fave find for 2009! 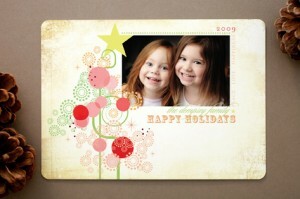 Minted.com is a new kid on the block in the photo card industry, but there cards are AWESOME! Having received some samples to see the quality, I can honestly say I was thrilled with the quality of the printing and the card stock. They offer options I have not seen anywhere else either! 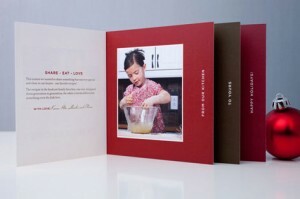 The designs are fresh and clean - the options are endless for creating your card and the website is so easy to navigate! This is our TOP PICK! So, you want to win 50 free flat panel photo cards do you? 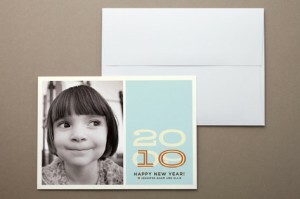 Visit Minted.com and let us know what card design is your favorite! Tweet about this contest for an extra entry - be sure to leave another comment! Deadline to enter: November 25, 2009 at 11:59pm 1 winners will be chosen at random using Random.org and will be posted here by November 27, 2009. Winner has 3 days to claim prize, if no response is received, another winner will be selected.